A limited-edition humidor filled with extremely rare, 26-year-old Cuban cigars was the top-selling item at an online auction held last week. The Cubatabaco 1492 humidor, filled with 50 cigars of the same name, was sold at an auction hosted by British cigar retailer C.Gars Ltd. for £25,000, or $31,860. The online auction, which ran from November 25 to December 2, featured more than 400 lots of rare and aged Havana cigars. Among the featured items were aged Cuban Davidoff and Dunhill cigars—two discontinued Cuban brands that are highly sought after by collectors—as well as anniversary humidors, Edición Limitadas and Regional Edition Cuban cigars. Only 500 of the oblong-shaped 1492 humidors were produced. But as the auction concluded Sunday night, the 1492 humidor proved to be the most coveted item of all. The humidor, which was released in 1992 by Habanos S.A. (known then as Cubatabaco), celebrated 500 years since Christopher Columbus landed in Cuba. And to honor the occasion, only 500 of these oblong-shaped cherry wood humidors were ever made. Inside are 50 cigars, also individually numbered, measuring 5 5/8 inches by 46 ring gauge. 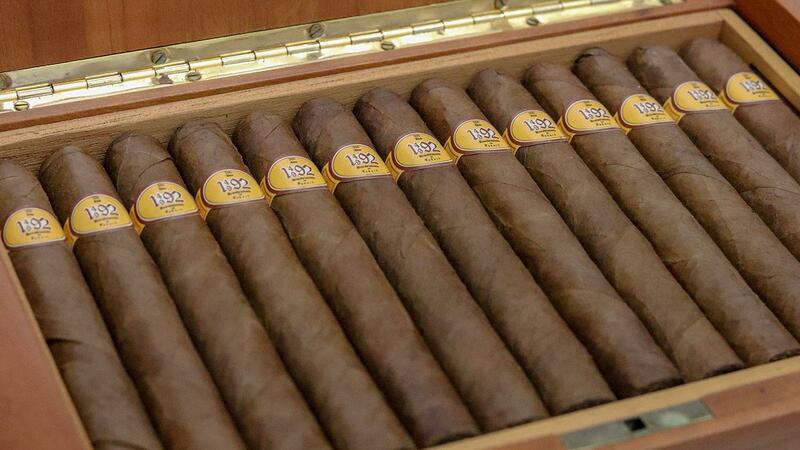 Upon release, the 1492 humidor cost between $1,000 and $2,000, depending on the market. And the last reported appraisal by Cigar Aficionado magazine in December 2002 valued the humidor at about $11,000. This year, the humidor sold for a much higher five-figure premium, despite containing one cigar with substantial wrapper damage and four others with minor wrapper damage, according to C.Gars. There also isn’t any paperwork to accompany the piece. 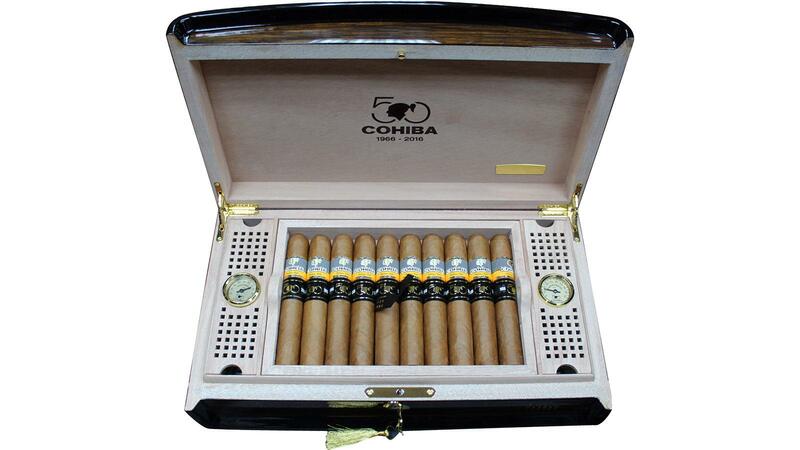 The Cohiba Majestuoso 1966 Humidors are two of 1,966 pieces made to celebrate the 50th anniversary of the brand. Other top-selling lots at the auction were two boxes of Cohiba Siglo VI Gran Reservas, which sold for £9,450 ($12,041) and £7,550 ($9,620). 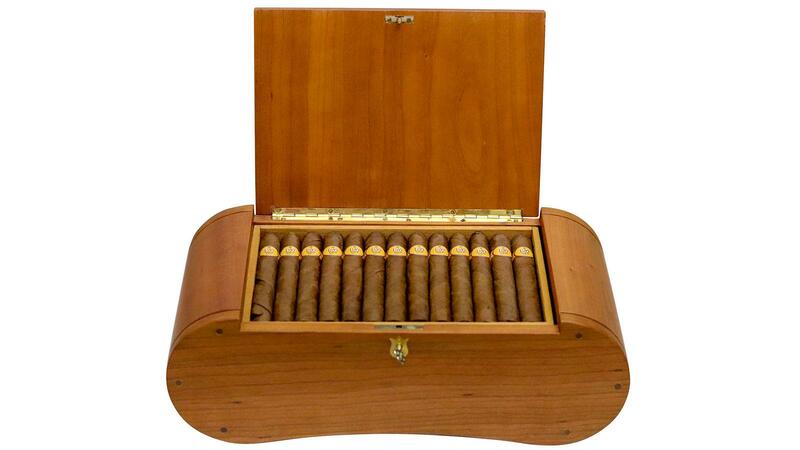 A pair of Cohiba Majestuoso 1966 Humidors sold for £8,500 ($10,830) and £7,300 ($9,301). While the cigars inside have not been significantly aged, they are quite rare. Upon debuting at the 2016 Habanos Festival in Cuba, it was announced that only 1,966 humidors would be made (just under 40,000 cigars) and each would cost at least $4,000. Last year, as the humidors began to reach the global market, one Habanos distributor had already sold its humidors before they arrived, while another opted to hold them for sale later on, indicating that the pieces might appreciate in value. The 1,966 production limit was meant to coincide with the 50th anniversary of the Cohiba brand, which launched in 1966. It was one of two limited-edition Cohibas to mark the occasion, along with the even more elusive Cohiba 50th. C.Gars Ltd. is scheduled to hold its next online auction in March 2019.